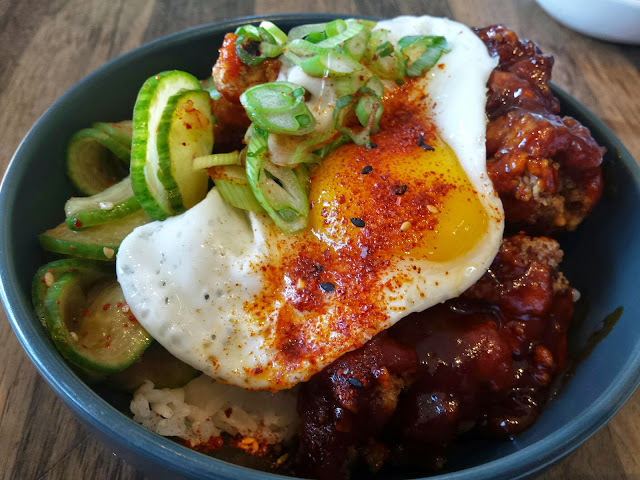 A few weekends ago, my friends and I went to the Fremont/Ballard area to have our usual food adventures. 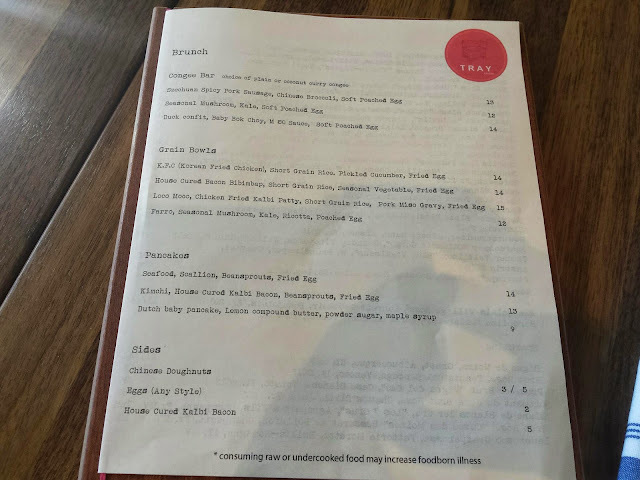 With the help of Yelp, we came across this place called Tray Kitchen which is a bit of a Korean fusion twist in a comfort food sort of way. I had the K.F.C. 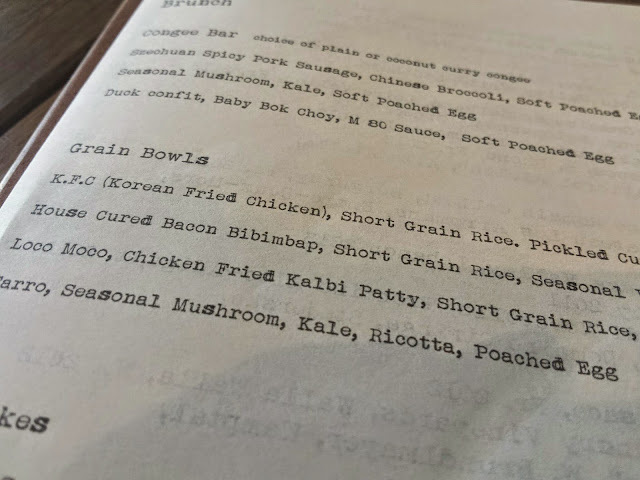 grain bowls - I had too! K.F.C are also my initials apart from it being Korean Fried Chicken. The chicken was nice and moist with a crunch on the outside topped with a not too spicy chili sauce. 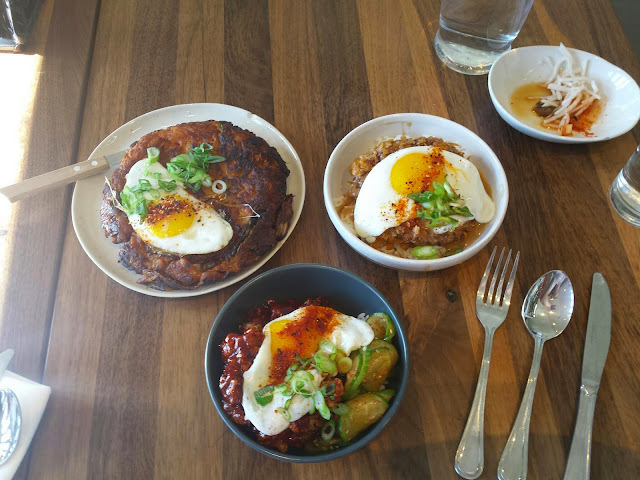 The fried egg on top was perfect and the cucumber kimchi added a nice coolness to the dish and crunchy texture. 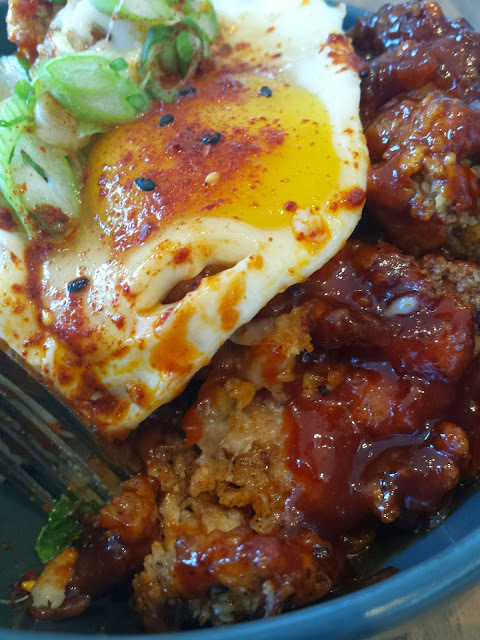 This take on a bi bim bap style rice dish was nicely done and I really enjoyed it. I could have gone a little lighter on the sauce, but that's just personal preference. 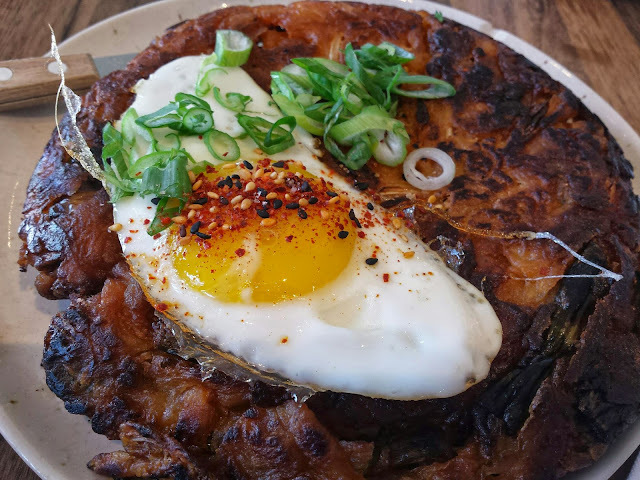 One of my friends had the Kimchi & Pork belly pancake and it was really good as well. It was extra crispy and thicker than your usual pajun/pajeon (Korean pancake). My other friend tried the Loco Moco and I really liked how they breaded it! It had a non-traditional corn flake coating to add to the extra layer of crunch. The dishes were smaller than what we expected, especially for the price, but surprisingly, it was very filling for the size. We went on a Saturday afternoon around 1pm and surprisingly again, it wasn't crowded or busy at all especially considering the place being a little small (but comfortable and not crowded feeling). I would definitely go back to try out their dinner menu, especially if I'm headed to that area in the first place. The parking in front is limited, but there is plenty of street parking available around the block. The service was good, though the waitress was a bit awkward at times and forgetful, but maybe she was new? 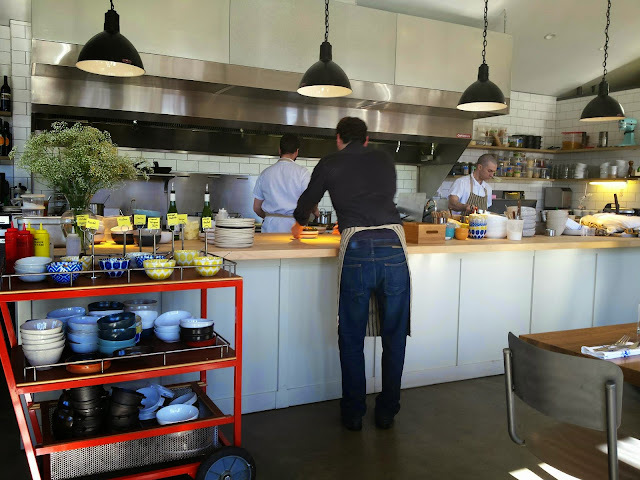 Our food came out in a timely manner and I love how there's an open kitchen so you can really see what is going on. 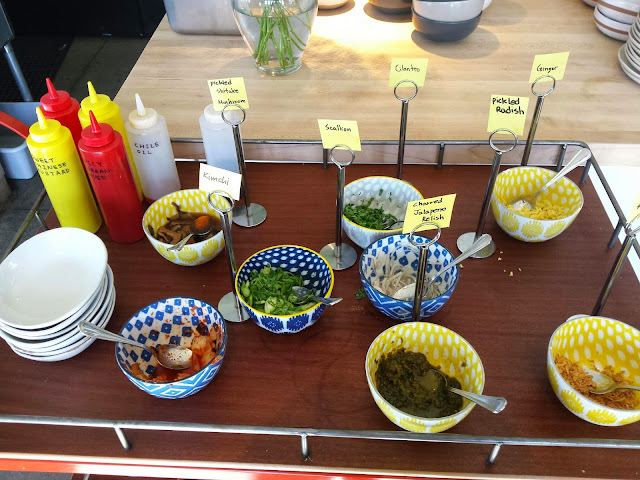 If you're into Asian comfort foods with a little bit of a twist, then definitely check this place out. 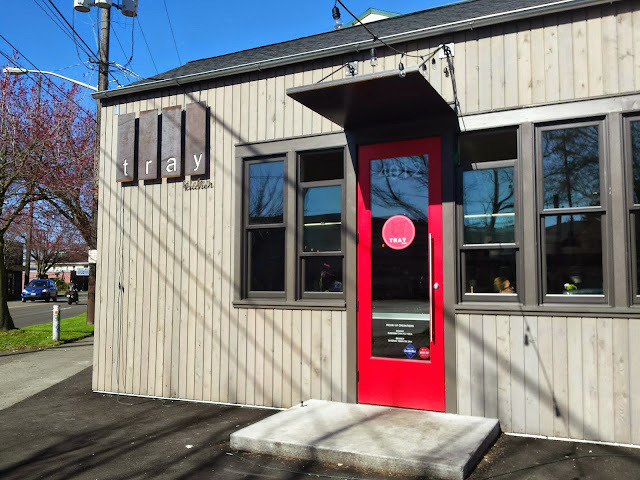 It's close to the busy Ballard and Fremont areas if you plan on hanging out or getting drinks or dessert after so everything is really convenient! 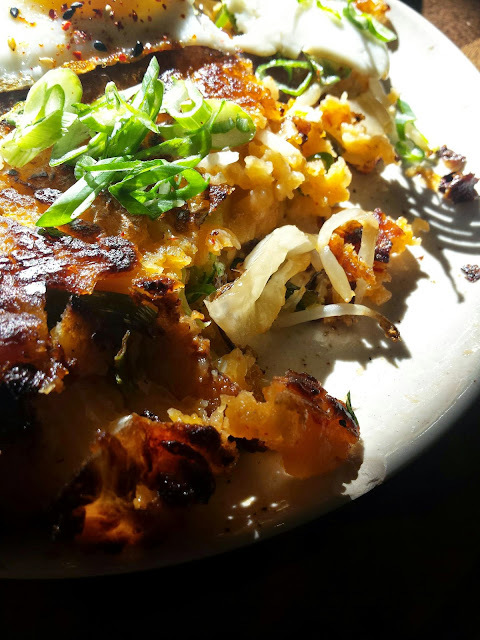 Readers, have you tried different Asian comfort foods? What is your favorite comfort food? Let me know!